These notes have been prepared for the Stanford University graduate course ME 322 Kinematic Synthesis of Mechanisms. 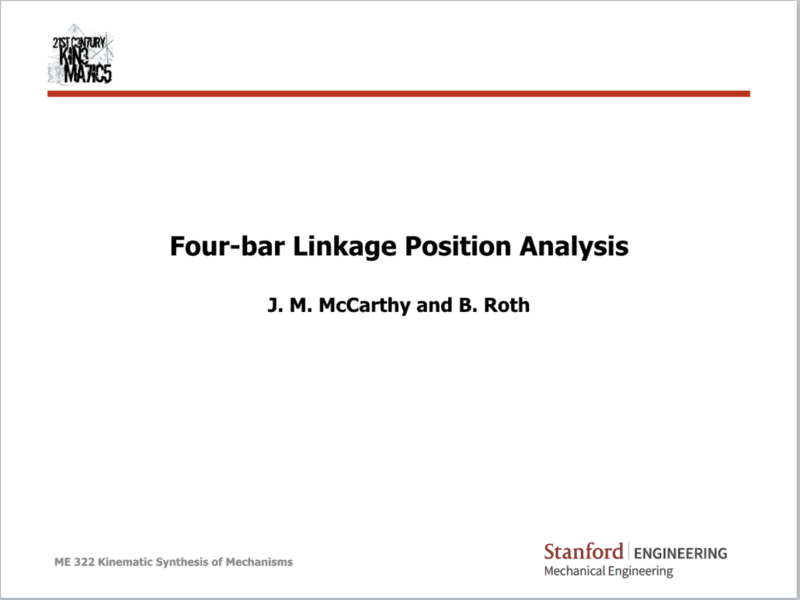 This first set details the position and velocity analysis of a four-bar linkage. Update: December 12, 2017. These notes have been revised to represent rotation matrices using boldfaced letters. Remarkably, because 2×2 matrices commute this allows these matrices to be replaced by complex exponentials and the coordinate vectors to be replaced by complex numbers and the derivations and calculations do not change.